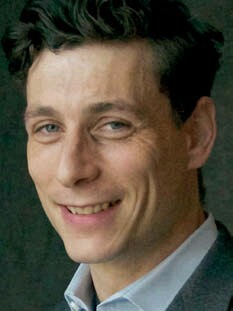 Tom Davies is director at the Mayfair gallery Daniel Katz, specialist in Old Master sculpture and paintings. It is a participant in 'London Art Week', hosting an exhibition titled Defining Elegance. 1. How did you get your start? Pure serendipity. In February 2007 I successfully lifted a heavy bronze onto a plinth in the office of Danny Katz wearing a £40 suit that I had bought on the way to what I thought would be an ‘interview’. I walked out with a job. My first sale was of a neoclassical marble relief at my first TEFAF Maastricht in 2008 to a Belgian couple – heady days indeed. 2. How has the trade changed since you’ve been dealing? It is less specialised. Very few people collect just European sculpture today. It is no longer possible to focus on just one area and expect to have enough clients for that. Buyers’ eyes have shifted to a broader scope covering many epochs. 3. What has been driving the trade in your field over the past year or so? Capturing masterpieces new to the market which haven’t been around the auction or art fair circuit over and over again. 4. One high point in your dealing career so far? 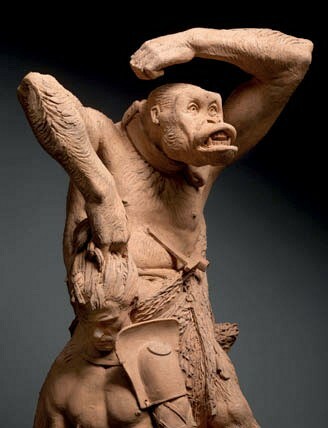 Selling a terracotta Gorilla attacking a Gladiator by Emmanuel Frémiet to the V&A last year. It is a work of art I loved for its shocking and real subject matter. It is such a provocative and engaging work of sculpture for a museum public across all ages to engage with. 5. Real ale or espresso martini? Real ale every time (and plenty of them) out of a glass with a handle.